Not to be confused with UFO religion. The term derives from UFO, which is pronounced as an acronym, and the suffix -logy, which comes from the Ancient Greek λογία (logiā). An early appearance of this term in print can be found in the article "An Introduction to Ufology" by Ivan T. Sanderson, found in Fantastic Universe magazine's February 1957 issue (Vol. 7, No. 2), which closes with this direct plea: "What we need, in fact, is the immediate establishment of a respectable new science named Ufology." Another early use of the word was in a 1958 speech given at the opening of The Planetary Center, a UFO research organization near Detroit, Michigan. Another early use, according to the Oxford English Dictionary, one of the first documented uses of the word ufology can be found in the Times Literary Supplement from January 23, 1959, in which it writes, "The articles, reports, and bureaucratic studies which have been written about this perplexing visitant constitute 'ufology'." This article was printed eight years after Edward J. Ruppelt of the United States Air Force (USAF) coined the word UFO in 1951. 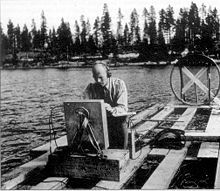 A Swedish Air Force officer searches for a "ghost rocket" in Lake Kölmjärv, Norrland, Sweden, in July 1946. The modern UFO mythology has three traceable roots: the late 19th century "mystery airships" reported in the newspapers of the western United States, "foo fighters" reported by Allied airmen during World War II, and the Kenneth Arnold "flying saucer" sighting near Mt. Rainier, Washington on June 24, 1947. UFO reports between "The Great Airship Wave" and the Arnold sighting were limited in number compared to the post-war period: notable cases include reports of "ghost fliers" in Europe and North America during the 1930s and the numerous reports of "ghost rockets" in Scandinavia (mostly Sweden) from May to December 1946. Media hype in the late 1940s and early 1950s following the Arnold sighting brought the concept of flying saucers to the public audience. As the public's preoccupation in UFOs grew, along with the number of reported sightings, the United States military began to take notice of the phenomenon. The UFO explosion of the early post-war era coincides with the escalation of the Cold War and the Korean War. The U.S. military feared that secret aircraft of the Soviet Union, possibly developed from captured German technology, were behind the reported sightings. If correct, the craft causing the sightings were thus of importance to national security and in need of systematic investigation. By 1952, however, the official US government interest in UFOs began to fade as the USAF projects Sign and Grudge concluded, along with the CIA's Robertson Panel that UFO reports indicated no direct threat to national security. The government's official research into UFOs ended with the publication of the Condon Committee report in 1969, which concluded that the study of UFOs in the previous 21 years had achieved little, if anything, and that further extensive study of UFO sightings was unwarranted. It also recommended the termination of the USAF special unit Project Blue Book. As the U.S. government ceased officially studying UFO sightings, the same became true for most governments of the world. A notable exception is France, which still maintains the GEIPAN, formerly known as GEPAN (1977–1988) and SEPRA (1988–2004), a unit under the French Space Agency CNES. During the Cold War, British, Canadian, Danish, Italian, and Swedish governments have each collected reports of UFO sightings. Britain's Ministry of Defence ceased accepting any new reports as of 2010. Ufology has generally not been embraced by academia as a scientific field of study, even though UFOs were, during the late 1940s and early 1950s, the subject of large-scale scientific studies. The lack of acceptance of ufology by academia as a field of study means that people can claim to be "UFO researchers", without the sorts of scientific consensus building and, in many cases peer review, that otherwise shape and influence scientific paradigms. Even among scientifically inclined UFO research efforts, data collecting is often done by amateur investigators. Famous mainstream scientists who have shown interest in the UFO phenomenon include Stanford physicist Peter A. Sturrock, astronomer J. Allen Hynek, computer scientist and astronomer Jacques F. Vallée, and University of Arizona meteorologist James E. McDonald. Ufology is characterized by scientific criticism as a partial or total pseudoscience, a characterization which many ufologists reject. Pseudoscience is a term that classifies studies that are claimed to exemplify the methods and principles of science, but that do not adhere to an appropriate scientific method, lack supporting evidence, plausibility, falsifiability, or otherwise lack scientific status. Gregory Feist, an academic psychologist, proposes that ufology can be categorized as a pseudoscience because its adherents claim it to be a science while the scientific community denies that it is, and because the field lacks a cumulative scientific progress; ufology has not, in his view, advanced since the 1950s. Rachel Cooper, a philosopher of science and medicine, states that the fundamental problem in ufology is not the lack of scientific method, as many ufologists have striven to meet standards of scientific acceptability, but rather the fact that the assumptions on which the research is often based are considered highly speculative. Stanton Friedman considers the general attitude of mainstream academics as arrogant and dismissive, or bound to a rigid worldview that disallows any evidence contrary to previously held notions. Denzler states that the fear of ridicule and a loss of status has prevented scientists from publicly pursuing an interest in UFOs. J. Allen Hynek also commented, "Ridicule is not part of the scientific method and people should not be taught that it is." 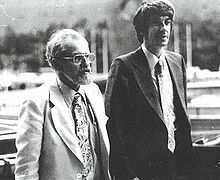 Hynek said of the frequent dismissal of UFO reports by astronomers that the critics knew little about the sightings, and should thus not be taken seriously. Peter A. Sturrock suggests that a lack of funding is a major factor in the institutional lack of interest in UFOs. The UFO problem seems to bear a closer resemblance to problems in meteorology than in physics. The phenomena are observed, occur episodically, are not reproducible, and in large part, are identified by statistical gathering of data for possible organization into patterns. They are not experiments that can be replicated at will at the laboratory bench under controlled conditions. On the other hand, skeptics have argued that UFOs are not a scientific problem at all, as there is no tangible physical evidence to study. Barry Markovsky argues that, under scrutiny by qualified investigators, the vast majority of UFO sightings turn out to have mundane explanations. Astronomer Carl Sagan stated on UFO sightings, "The reliable cases are uninteresting and the interesting cases are unreliable. Unfortunately there are no cases that are both reliable and interesting." The development of theories and the evaluation of those theories on the basis of facts. Denzler states that ufology as a field of study has branched into two different mindsets: the first group of investigators wants to convince the unbelievers and earn intellectual legitimacy through systematic study using the scientific method, and the second group sees the follow-up questions concerning the origin and "mission" of the UFOs as more important than a potential academic standing. Radar/Visual cases (RV): Objects seen simultaneously by eye and on radar. CE2: A CE1 case that leaves physical evidence, e.g. soil depressions, vegetation damage, radiations or causes electromagnetic interference. CE3: CE1 or CE2 cases where occupants or entities are seen. Later, Hynek introduced a fourth category, CE4, which is used to describe cases where the witness feels he was abducted by a UFO. Some ufologists have adopted a fifth category, CE5, which involves conscious human-initiated contact with extraterrestrial intelligence. Close Encounter (CE): As per Hynek. Maneuver (MA): Trajectory discontinuity in flight. Fly-by (FB): No observed discontinuity in flight. Anomaly (AN): Unusual lights or unexplained entities. Thus, the Vallée categorization categorizes cases as MA-2, AN-1, CE-4, for example. In addition to UFO sightings, certain supposedly related phenomena are of interest to some in the field of ufology, including crop circles, cattle mutilations, and alien abductions and implants. Some ufologists have also promoted UFO conspiracy theories, including the alleged Roswell UFO Incident of 1947, the Majestic 12 documents, and UFO disclosure advocates. Skeptic Robert Sheaffer has accused ufology of having a "credulity explosion". He claims a trend of increasingly sensational ideas steadily gaining popularity within ufology. Sheaffer remarked, "the kind of stories generating excitement and attention in any given year would have been rejected by mainstream ufologists a few years earlier for being too outlandish." Likewise, James McDonald has expressed the view that extreme groups undermined serious scientific investigation, stating that a "bizarre 'literature' of pseudo-scientific discussion" on "spaceships bringing messengers of terrestrial salvation and occult truth" had been "one of the prime factors in discouraging serious scientists from looking into the UFO matter to the extent that might have led them to recognize quickly enough that cultism and wishful thinking have nothing to do with the core of the UFO problem." In the same statement, McDonald said that, "Again, one must here criticize a good deal of armchair-researching (done chiefly via the daily newspapers that enjoy feature-writing the antics of the more extreme of such subgroups). A disturbing number of prominent scientists have jumped all too easily to the conclusion that only the nuts see UFOs". In 1973, Peter A. Sturrock conducted a survey among members of the San Francisco chapter of the American Institute of Aeronautics and Astronautics, where 1175 questionnaires were mailed and 423 were returned, and found no consensus concerning the nature and scientific importance of the UFO phenomenon, with views ranging equally from "impossible" to "certain" in reply to the question, "Do UFOs represent a scientifically significant phenomenon?" In a later larger survey conducted among the members of the American Astronomical Society, where 2611 were questionnaires mailed and 1356 were returned, Sturrock found out that opinions were equally diverse, with 23% replying "certainly", 30% "probably", 27% "possibly", 17% "probably not", and 3% "certainly not", to the question of whether the UFO problem deserves scientific study. Sturrock also asked in the same survey if the surveyee had witnessed any event which they could not have identified and which could have been related to the UFO phenomenon, with around 5% replying affirmatively. In 1980, a survey of 1800 members of various amateur astronomer associations by Gert Herb and J. Allen Hynek of the Center for UFO Studies (CUFOS) found that 24% responded "yes" to the question, "Have you ever observed an object which resisted your most exhaustive efforts at identification?" The first official USAF investigations of UFOs were Project Sign (1947–1949) and its successor Project Grudge (1949). Several hundred sightings were examined, a majority of them having a mundane explanation. Some sightings were classified as credible but inexplicable, and in these cases the possibility of an advanced unknown aircraft could not be ruled out. The initial memos of the project took the UFO question seriously. After surveying 16 early reports, Lt. Col. George D. Garrett estimated that the sightings were not imaginary or exaggerations of natural phenomena. Lt. General Nathan F. Twining expressed the same estimate in a letter to Brig. General Schulgen, and urged a concerted investigation by the Air Force and other government agencies. Twining's memo led to the formation of Project Sign at the end of 1947. In the summer of 1948, Sign's first intelligence estimate (Estimate of the Situation) concluded that some UFO reports were extraterrestrial in origin. The rejection of the estimate by USAF Chief of Staff Gen. Hoyt Vandenberg led to the dissolution of Sign and the formation of Project Grudge. The United Kingdom's Ministry of Defence, alarmed by reports of seemingly advanced unidentified aircraft, followed the US military's example by conducting its own study on UFOs in 1950. A research group was formed based on the recommendation of the chemist Henry Tizard, and was involved in similar work to "Project Sign". After less than a year, the directorate, named the "Flying Saucer Working Party" (FSWP), concluded that most observations were either cases of mistaken identity, optical illusions, psychological delusions, or hoaxes, and recommended that no further investigation on the phenomena should be undertaken. In 1952, the directorate informed Prime Minister Winston Churchill, after his inquiry about UFOs, that they had found no evidence of extraterrestrial spacecraft. The FSWP files were classified for fifty years and were released to the British public in 2001. Project Magnet, led by senior radio engineer Wilbert B. Smith from the Department of Transport, had the goal of studying magnetic phenomena, specifically geomagnetism, as a potential propulsion method for vehicles. Smith believed UFOs were using this method to achieve flight. The final report of the project, however, contained no mention of geomagnetism. It discussed twenty-five UFO sightings reported during 1952, and concluded with the notion that "extraterrestrial space vehicles" are probable. Along with the Smith group, a parallel committee dedicated solely to dealing with "flying saucer" reports was formed. This committee, called Project Second Story, was sponsored by the Defence Research Board, with its main purpose being to collect, catalog, and correlate data from UFO sighting reports. The committee appeared to have dissolved after five meetings, as the group deemed the collected material unsuitable for scientific analysis. As a continuation of Project Sign and Project Grudge in 1951, the USAF launched Project Blue Book, led by Captain Edward J. Ruppelt. Under Ruppelt, the collection and investigation of UFO sightings became more systematic. The project issued a series of status reports, which were declassified in September 1960 and made available in 1968. Project Blue Book was terminated in December 1969, following the report of the Condon Committee. Until then, 12,618 incidents had been investigated, the grand majority of which explained by conventional means. 701 cases, around 6%, remained "unidentified". Officially, the USAF concluded from the project that the phenomena investigated were of no concern to national security, and that there was no evidence the sightings categorized as "unidentified" were caused by extraterrestrial aircraft. Ruppelt contracted a team of scientists from the Battelle Memorial Institute to evaluate 3200 early sightings gathered by Project Blue Book. They conducted analysis, primarily statistical, on the subject for almost two years. The study concluded that the more complete the data was and the better the report, the more likely it was that the report was classified as "unidentified". Those reports classified as "unidentified" numbered 21.5% of the total (33% of the highest quality reports) and required unanimous agreement among the four project scientists, whereas "identifieds" required agreement by only two of four analysts. A statistical analysis of six characteristics, such as speed and sighting duration, found statistically significant differences in at least four of the six categories between identifieds and unidentifieds. However, the report emphasized the subjectivity of the data, and stated that the conclusions drawn from the study were not based on facts, but on the subjective observations and estimations of the individual. [original research?] Furthermore, the report summary and conclusion stated that "unknowns" were not likely something beyond the era's technology, and almost certainly not "flying saucers". Before the final Battelle report was published, the Central Intelligence Agency (CIA) had developed an interest in UFOs as a national security issue, and set up a committee to examine existing UFO data. The panel, headed by mathematician and physicist Howard P. Robertson, met from January 14 to 17, 1953. It concluded unanimously that the UFO sightings posed no direct threat to national security, but did find that a continued emphasis on UFO reporting might threaten government functions by causing the channels of communication to clog with irrelevant reports and by inducing mass hysteria. Also, the panel worried that nations hostile to the US might use the UFO phenomena to disrupt air defenses. To meet these problems, the panel stated that a policy of public education on the lack of evidence behind UFOs was needed, to be done through the mass media and schools, among others. It also recommended monitoring private UFO groups for subversive activities. The recommendations of the Roberson Panel were partly implemented through a series of special military regulations. The December 1953 Joint-Army-Navy-Air Force Publication 146 (JANAP 146) made publication of UFO sightings a crime under the Espionage Act. The Air Force Regulation 200-2 (AFR 200-2) revision of 1954 made all UFO sightings reported to the USAF classified. AFR 200-2 revision of February 1958 allowed the military to deliver to the FBI names of those who were "illegally or deceptively" bringing UFOs to public attention. After the recommendations of the Robertson Panel, the USAF wanted to end its involvement in UFOs, and pass Project Blue Book to another agency. In October 1966, the USAF contracted the University of Colorado, under the leadership of physicist Edward U. Condon, for $325,000 to conduct more scientific investigations of selected UFO sightings and to make recommendations about the project's future. The committee looked at ninety-one UFO sightings, of which 30% was unidentifiable. The report concluded that there was no "direct evidence" that UFOs were extraterrestrial spacecraft, that UFO research from the past twenty-one years had not contributed anything to scientific knowledge, and that further study was not justified. As a direct result of the Condon report, Project Blue Book was closed in December 1969. Many ufologists, however, were not satisfied with the Condon report, and considered it a cover-up. The RAND Corporation produced a short internal document titled "UFOs: What to Do? ", published in November 1968. The paper gave a historical summary of the UFO phenomenon, talked briefly about issues concerning extraterrestrial life and interstellar travel, presented a few case studies and discussed the phenomenological content of a UFO sighting, reviewed hypotheses, and concluded with a recommendation to organize a central UFO report-receiving agency and conducting more research on the phenomenon. In 1973, a wave of UFO sightings in southeast Missouri prompted Harley D. Rutledge, physics professor at the University of Missouri, to conduct an extensive field investigation of the phenomenon. The findings were published in the book Project Identification: the first scientific field study of UFO phenomena. Although taking a specific interest in describing unidentified aerial phenomena, as opposed to identifying them, the book references the presumed intelligence of the sighted objects. Rutledge's study results were not published in any peer-reviewed journal or other scientific venue or format. In 1977, the French Space Agency CNES Director General set up a unit to record UFO sighting reports. The unit was initially known as Groupe d’Etudes des Phénomènes Aérospatiaux Non identifiés (GEPAN), changed in 1988 to Service d'expertise de rentrée atmosphérique Phenom (SERPA) and in 2005 to Groupe d'études et d'informations sur les phénomènes aérospatiaux non identifiés (GEIPAN). GEIPAN found a mundane explanation for the vast majority of recorded cases, but in 2007, after 30 years of investigation, 1,600 cases, approximately 28% of total cases, remained unexplained "despite precise witness accounts and good-quality evidence recovered from the scene" and are categorized as "Type D". In April 2010, GEIPAN statistics stated that 23% of all cases were of Type D. However, Jean-Jacques Velasco, the head of SEPRA from 1983 to 2004, wrote a book in 2004 noting that 13.5% of the 5,800 cases studied by SEPRA were dismissed without any rational explanation, and stated that UFOs are extraterrestrial in origin. Thanks to the lobbying of Eric Gairy, the Prime Minister of Grenada, the United Nations General Assembly addressed the UFO issue in the late 1970s. On July 14, 1978, a panel, with Gordon Cooper, J. Allen Hynek, and Jacques Vallée among its members, held a hearing to inform the UN Secretary General Kurt Waldheim about the matter. As a consequence of this meeting, the UN adopted decisions A/DEC/32/424 and A/DEC/33/426, which called for the "establishment of an agency or a department of the United Nations for undertaking, co-ordinating and disseminating the results of research into unidentified flying objects and related phenomena". Since 1981, in an area near Hessdalen in Norway, unidentified flying objects have been commonly observed. This so-called Hessdalen phenomenon has twice been the subject of scientific field studies: Project Hessdalen (1983–1985, 1995–) secured technical assistance from the Norwegian Defense Research Establishment, the University of Oslo, and the University of Bergen, while Project EMBLA (1999–2004) was a team of Italian scientists led by Ph.D. Massimo Teodorani from the Istituto di Radioastronomia di Bologna. Both studies confirmed the presence of the phenomenon and were able to record it with cameras and various technical equipment such as radar, laser, and infrared. The origin and nature of the lights remains unclear. Researchers from Project EMBLA speculated the possibility that atmospheric plasma had been the origin of the phenomenon. The British Ministry of Defence (MoD) published in 2006 the "Scientific & Technical Memorandum 55/2/00a" of a four-volume, 460-page report entitled Unidentified Aerial Phenomena in the UK Air Defence Region, based on a study by DI55 (a section of the Directorate of Scientific and Technical Intelligence of the Defence Intelligence Staff) codenamed Project Condign. It discusses the British UFO reports received between 1959 and 1997. The report affirms that UFOs are an existing phenomenon, but points out that they present no threat to national defense. The report further states that there is no evidence that UFO sightings are caused by incursions of intelligent origin, or that any UFO consists of solid objects which might create a collision hazard. Although the study admits to being unable to explain all analyzed UFO sightings with certainty, it recommends that section DI55 ceases monitoring UFO reports, as they do not provide information useful for Defence Intelligence. The report concludes that a small percentage of sightings that can not be easily explained are caused by atmospheric plasma phenomenon similar to ball lightning; Magnetic and other energy fields produced by these "buoyant plasma formations" are responsible for the appearance of so-called "Black Triangles" as well as having hallucinogenic effects on the human mind, inducing experiences of Close Encounters. From Sept. 29 to Oct. 4, 1997 a workshop examining selected UFO incidents took place in Tarrytown, New York. The meeting was initiated by Peter A. Sturrock, who had reviewed the Condon report and found it dissatisfying. The international review panel consisted of nine physical scientists, who responded to eight investigators of UFO reports, who were asked to present their strongest data. The final report of the workshop was published under the title "Physical Evidence Related to UFO Reports" in the Journal of Scientific Exploration in 1998. The study concluded that the studied cases presented no unequivocal evidence for the presence of unknown physical phenomena or for extraterrestrial intelligence, but argued that a continued study of UFO cases might be scientifically valuable. COMETA (Comité d'Études Approfondies, "Committee for in-depth studies") is a private French group, which is mainly composed of high-ranking individuals from the French Ministry of Defence. In 1999 the group published a ninety-page report entitled "Les OVNI et la défense: à quoi doit-on se préparer?" ("UFOs and Defense: What Should We Prepare For?"). The report analyzed various UFO cases and concluded that UFOs are real, complex flying objects, and that the extraterrestrial hypothesis has a high probability of being the correct explanation for the UFO phenomenon. The study recommended that the French government should adjust to the reality of the phenomenon and conduct further research. Skeptic Claude Maugé criticized COMETA for research incompetency, and claimed that the report tried to present itself as an official French document, when in fact it was published by a private group. On May 9, 2001, twenty government workers from military and civilian organizations spoke about their experiences regarding UFOs and UFO confidentiality at the National Press Club in Washington D.C.. The press conference was initiated by Steven M. Greer, founder of the Disclosure Project, which has the goal of disclosing alleged government UFO secrecy. The purpose of the press conference was to build public pressure through the media to obtain a hearing before the United States Congress on the issue. Although major American media outlets reported on the conference, the interest quickly died down, and no hearing came forth. On November 12, 2007, a press conference, moderated by former Governor of Arizona Fife Symington, was held at the National Press Club in Washington D.C. Nineteen former pilots and military and civilian officials spoke about their experiences with UFOs, demanding that the U.S. government engage in a new investigation of the phenomenon. In the US, groups and affiliates interested in UFO investigation number in the hundreds, of which a few have achieved prominence based on their longevity, size, and researcher involvement with scientific credentials. The first significant UFO interest group in the US was the Aerial Phenomena Research Organization (APRO), formed in 1952 by Coral and James Lorenzen. The organization closed down in 1988. The National Investigations Committee on Aerial Phenomena (NICAP), which formed in 1957 and shut down in the 1970s, whose Board of Directors included former Director of Central Intelligence and first head of the Central Intelligence Agency, VADM Roscoe H. Hillenkoetter, was, at one time, the largest UFO organization in the country, with numerous chapters. In 1957, brothers W. H. and J. A. Spaulding founded the Ground Saucer Watch, which later became famous when, in 1977, the group filed a suit under the Freedom of Information Act against the CIA. The two major UFO investigative groups active today are the Mutual UFO Network (MUFON), founded in 1969, and the Center for UFO Studies (CUFOS), founded in 1973 by J. Allen Hynek. MUFON grew as the key members of NICAP joined the organization in the 1970s. CUFOS has tried to limit its membership to established researchers, but has found little academic acceptance. National UFO Reporting Center takes UFO reports, and has been in operation since 1974. The British UFO Research Association (BUFORA) is the oldest of the active British UFO organizations. It traces its roots to the London UFO Research Association, founded in 1959, which merged with the British UFO Association (BUFOA) to form BUFORA in 1964. The Australian Flying Saucer Bureau (AFSB) and the Australian Flying Saucer Research Society (AFSRS) were the earliest UFO groups established in Australia, with both being founded in the early 1950s. The Australian Centre for UFO Studies (ACUFOS) was established in 1974 with links to the American CUFOS. Other currently active Australian UFO groups include the Victorian UFO Research Society (VUFORS), the Australian UFO Research Network (AUFORN), and UFO Research Queensland (UFORQ). The Freie Interessengemeinschaft für Grenz- und Geisteswissenschaften und Ufologiestudien (Free Community of Interests for the Border and Spiritual Sciences and Ufological Studies) (FIGU) is a non-profit, tax-paying organization established under the name mentioned. This organization was established by Eduard Albert Meier (Billy Meier) in 1996 with its headquarters based in Schmidrüti, Switzerland. The Committee for Skeptical Inquiry (CSI), although not a UFO organization, has investigated various UFO cases and has given a skeptical review of the phenomena in its publications, often in the Skeptical Inquirer magazine. Founded as the Committee for the Scientific Investigation of Claims of the Paranormal (CSICOP) in 1976 by professor of philosophy Paul Kurtz, the committee is known for its member scientists and skeptics, such as Carl Sagan, Isaac Asimov, Philip J. Klass, Ray Hyman, James Randi, and Martin Gardner. The Skeptics Society, founded by science historian Michael Shermer in 1992, has also addressed the UFO issue in its magazine Skeptic. World UFO Day is a day for people to gather together and watch the skies for unidentified flying objects. The goal of the July 2 celebration is to raise awareness of the Roswell findings, and to gain support in forcing governments to "tell the truth about earthly visits from outer space aliens". This day is celebrated in the United States, the United Kingdom, Germany, Canada, China, Thailand, Belgium, Hong Kong, India, Indonesia, Japan, Netherlands, South Africa, Taiwan, Turkey, the Czech Republic, Australia, Spain, Korea, Brazil, Italy, France, Nigeria, Finland, Austria and Poland. ^ Sanderson, Ivan T. "An Introduction to Ufology." Fantastic Universe. Feb. 1957: 27-34. Print. ^ Adam. "Challenge of UFOs - Part II Chapter VII". www.nicap.org. Retrieved 2017-11-12. ^ a b Brake, Mark (June 2006). "On the plurality of inhabited worlds;a brief history of extraterrestrialism". International Journal of Astrobiology. 5 (2): 104. Bibcode:2006IJAsB...5...99B. doi:10.1017/S1473550406002989. ^ Denzler, Brenda (2003). The lure of the edge: scientific passions, religious beliefs, and the pursuit of UFOs. University of California Press. pp. 6–7. ISBN 0-520-23905-9. ^ Schulgen, George (October 28, 1947). "Schulgen Memo". Retrieved May 3, 2010. the object sighted is being assumed to be a manned aircraft, of Russian origin, and based on the perspective thinking and actual accomplishments of the Germans. ^ "The Air Force Intelligence Report". Retrieved May 3, 2010. To implement this policy it was directed that Hq, Air Material Command set up a project with the purpose of collecting, collating, evaluating, and distributing to interested government agencies and contractors, all information concerning sightings and phenomena in the atmosphere which could be construed to be of concern to the national security. ^ a b c d e f g h i j k Haines, Gerald K. (April 14, 2007). "CIA's Role in the Study of UFOs, 1947-90". Retrieved May 3, 2010. ^ "Archived – Canada's UFOs: The Search for the Unknown – Library and Archives Canada – Archive 蒃 – Le phénomène des ovnis au Canada – Bibliothèque et Archives Canada". collectionscanada.gc.ca. ^ "Secret UFO archives opened". The Copenhagen Post. January 29, 2009. Retrieved May 3, 2010. ^ "För insyn: 18 000 svenska UFO-rapporter". Expressen (in Swedish). May 6, 2009. Retrieved May 3, 2010. ^ "UFO reports to be destroyed in future by MoD". Telegraph. London. February 28, 2010. Retrieved May 3, 2010. ^ Sturrock, Peter A. (2000). The UFO Enigma: A New Review of the Physical Evidence. Aspect Books. ISBN 0-446-67709-4. ^ CUFOS. "Center for UFO Studies". cufos.org. ^ Vallee, Jacques (1965). Anatomy of a phenomenon: unidentified objects in space – a scientific appraisal. NTC/Contemporary Publishing. ISBN 978-0809298884. ^ McDonald, James. E. (1968). Statement on Unidentified Flying Objects submitted to the House Committee on Science and Astronautics at July 29, 1968, Symposium on Unidentified Flying Objects, Rayburn Bldg., Washington, D.D. ^ Tuomela, Raimo (1985). Science, action, and reality. Springer. p. 234. ISBN 90-277-2098-3. ^ Feist, Gregory J. (2006). The psychology of science and the origins of the scientific mind. Yale University Press. p. 219. ISBN 0-300-11074-X. ^ Restivo, Sal P. (2005). Science, technology, and society: an encyclopedia. Oxford University Press US. p. 176. ISBN 0-19-514193-8. ^ Friedman, Stanton T. (2009-05-30). "Pseudo-Science of Anti-Ufology". The UFO Chronicles. Retrieved 2010-05-03. ^ Hansson, Sven Ove (September 3, 2008). "Science and Pseudo-Science". Retrieved May 8, 2010. ^ Cooper, Rachel (2009). "Chapter 1: Is psychiatric research scientific?". In Broome, Matthew; Bortolotti, Lisa. Psychiatry as Cognitive Neuroscience: Philosophical Perspectives. Oxford University Press. p. 19. ISBN 0-19-923803-0. ^ Friedman, Stanton T. (2008). Flying Saucers and Science: A Scientist Investigates the Mysteries of UFOs. Franklin Lakes, NJ: New Page Books. ISBN 978-1-60163-011-7. ^ Hynek, Josef Allen (April 1953). "Unusual Aerial Phenomena". Journal of the Optical Society of America. 43 (4): 311–14. doi:10.1364/JOSA.43.000311. ^ Josef Allen Hynek (1952-08-06). "Special report on conferences with astronomers on unidentified aerial objects". NARA. Retrieved 2007-05-25. Close questioning revealed they knew nothing of the actual sightings, of their frequency or anything much about them, and therefore cannot be taken seriously. This is characteristic of scientists in general when speaking about subjects which are not in their own immediate field of concern. ^ Sturrock (2000) p. 155: "If the Air Force were to make available, say, $50 million per year for ten years for UFO research, it is quite likely that the subject would look somewhat less disreputable…however, an agency is unlikely to initiate such a program at any level until scientists are supportive of such an initiative. We see that there is a chicken-and-egg program. It would be more sensible, and more acceptable to the scientific community, if research began at a low level." ^ Hoyt, Diana Palmer (2000-04-20). "UFOCRITIQUE: UFO's, Social Intelligence and the Condon Committees" (PDF). Master's Thesis. Virginia Polytechnic Institute: 13. Archived from the original (PDF) on 2007-03-17. Retrieved 2007-05-25. ^ Sagan, Carl (1975). Other Worlds. Bantam. p. 113. ISBN 0-552-66439-1. ^ Hynek, J. Allen (1974). The UFO experience: a scientific enquiry. Corgi. ISBN 0-552-09430-7. ^ a b Tumminia, Diana G. (2007). Alien worlds: social and religious dimensions of extraterrestrial contact. Syracuse University Press. ISBN 0-8156-0858-6. ^ Vallée, Jacques F. (1998). "Physical Analyses in Ten Cases of Unexplained Aerial Objects with Material Samples". Journal of Scientific Exploration. 12 (3): 360–61. ^ Andrews, Colin; Spignesi, Stephen J. (2003). Crop circles: signs of contact. Career Press. ISBN 1-56414-674-X. ^ Howe, Linda Moulton (1989). Alien Harvest: Further Evidence Linking Animal Mutilations and Human Abductions to Alien Life Forms. Linda Moulton Howe Productions. ISBN 0-9620570-1-0. ^ Dunning, Brian. "Skeptoid #79: Aliens in Roswell". Skeptoid. Retrieved 27 December 2016. ^ Friedman, Stanton T.; Berliner, Don (1992). Crash at Corona: The U.S. Military Retrieval and Cover-up of a UFO. Paragon House. ISBN 1-55778-449-3. ^ Randle, Kevin D.; Schmitt, Donald R. (1991). UFO Crash at Roswel. Avon Books. ISBN 0-380-76196-3. ^ Friedman, Stanton T. (1997). TOP SECRET/MAJIC. Marlowe & Co. ISBN 1-56924-741-2. ^ Salla, Michael (2004). Exopolitics: Political Implications of Extraterrestrial Presence. Dandelion Books. ISBN 1-893302-56-3. ^ Greer, Steven M. (2001). Disclosure : Military and Government Witnesses Reveal the Greatest Secrets in Modern History. Crossing Point. ISBN 0-9673238-1-9. ^ a b c Sheaffer, Robert. "A Skeptical Perspective on UFO Abductions". In: Pritchard, Andrea & Pritchard, David E. & Mack, John E. & Kasey, Pam & Yapp, Claudia. Alien Discussions: Proceedings of the Abduction Study Conference. Cambridge: North Cambridge Press. pp. 382–88. ^ Sturrock, Peter A. (May 1974). "UFO Reports from AIAA (American Institute of Aeronautics and Astronautics) Members". UFO Evidence. Retrieved 2010-05-04. ^ a b Sturrock, Peter A. (1976). "Report on a Survey of the Membership of the American Astronomical Society Concerning the UFO Phenomenon – Summary". Stanford university report No. 681R. Retrieved 2010-05-04. ^ Herb, Gert & J. Allen Hynek (May 2006). "The Amateur Astronomer and the UFO Phenomena". reprint. 30 (3). International UFO Reporter: 14–16. ^ United States Air Force (April 27, 1949). "USAF Briefing Report". Retrieved May 4, 2010. The majority of reported incidents have been caused by misidentification of weather balloons, high altitude balloons with lights or electronic equipment, meteors, Bolides, and celestial bodies. ^ United States Air Force (April 27, 1949). "USAF Briefing Report". Retrieved May 4, 2010. There are numerous reports from reliable and competent observers for which a conclusive explanation has not been possible. Some of these involve descriptions which would place them in the category of new manifestations of probable natural phenomena, but others involve configurations and described performance which might conceivably represent an advanced aerodynamical development. ^ Lt. Col. George D. Garrett, USAF. (July 30, 1947). "Flying discs. Summary of 16 UFO cases". Retrieved May 4, 2010. This "flying saucer" situation is not all imaginary or seeing too much in some natural phenomenon. Something is really flying around. ^ a b c d Hodapp, Christopher & Alice Von Kannon (2008). Conspiracy Theories & Secret Societies For Dummies. For Dummies. p. 133. ISBN 0-470-18408-6. ^ Flying Saucer Working Party, Ministry of Defence (June 1951). "Unidentified Flying Objects: Report by the 'Flying Saucer' Working Party". Retrieved May 4, 2010. ^ a b Library and Archives Canada (August 11, 2007). "Canada's UFOs: The Search for the Unknown – Project Magnet". Retrieved May 8, 2010. ^ a b Cameron, Vicki (1995). Don't tell anyone, but–: UFO experiences in Canada. General Store Publishing House. p. 10. ISBN 1-896182-20-8. ^ a b Library and Archives Canada (December 14, 2007). "Canada's UFOs: The Search for the Unknown – Project Second Story". Retrieved May 8, 2010. ^ Lamb, David (2001). The search for extraterrestrial intelligence: a philosophical inquiry. Routledge. p. 146. ISBN 0-203-99174-5. ^ a b USAF (June 1995). "USAF Fact Sheet 95-03: Unidentified Flying Objects and Air Force Project Blue Book". Retrieved May 4, 2010. ^ Sturrock, Peter A. (1987). "An Analysis of the Condon Report on the Colorado UFO Project" (PDF). Journal of Scientific Exploration. 1 (1): 77. Archived from the original (PDF) on 2011-06-06. ^ United States Air Technical Intelligence Center (May 5, 1955). "Project Blue Book Special Report NO. 14: Analysis of Reports of Unidentified Aerial Objects. Project No. 10073". Retrieved May 4, 2010. The danger lies in the possibility of forgetting the subjectivity of the data at the time that conclusions are drawn from the analysis. It must be emphasized, again and again, that the conclusions contained in this report are based NOT on facts, but on what many observers thought and estimated the true facts to be. ^ Edward U.Condon (1968). "Scientific Study of Unidentified Flying Objects". Retrieved May 4, 2010. Our general conclusion is that nothing has come from the study of UFOs in the past 21 years that has added to scientific knowledge. Careful consideration of the record as it is available to us leads us to conclude that further extensive study of UFOs probably cannot be justified in the expectation that science will be advanced thereby. ^ a b Kocher, George (November 1968). "UFOs: What to Do?" (PDF). RAND Corporation. Retrieved May 8, 2010. ^ Rutledge, Harley D. (1981). Project Identification: the first scientific field study of UFO phenomena. Prentice-Hall. ISBN 0-13-730705-5. ^ Dickinson, Alexander K. (February 1982). "Interesting, But UFO's Still Unidentified". The Physics Teacher. 20 (2): 128–30. Bibcode:1982PhTea..20..128D. doi:10.1119/1.2340971. ^ a b c CNES (March 26, 2007). "GEIPAN UAP investigation unit opens its files". Retrieved May 4, 2010. ^ GEIPAN, CNES (April 8, 2010). "GEIPAN statistics" (in French). Archived from the original on April 13, 2010. Retrieved May 4, 2010. ^ Jean-Jacques Vélasco & Nicolas Montigiani (2004). OVNIS l'Evidence (in French). Chatou – New York, Carnot, « Orbis enigma ». ISBN 2-84855-054-6. ^ La Dépêche du Midi (April 18, 2004). "'Yes, UFOs exist': Position statement by SEPRA head, Jean-Jacques Velasco". Retrieved May 4, 2010. ^ Dolan, Richard M. (2008). UFOs and the National Security state – the cover-up exposed 1973-1991. Keyhole Publishing. pp. 143–44. ISBN 978-0-9677995-1-3. ^ UN (December 18, 1978). "Recommendation to Establish UN Agency for UFO Research – UN General Assembly decision 33/426". Retrieved May 4, 2010. the General Assembly invites interested Member States to take appropriate steps to coordinate on a national level scientific research and investigation into extraterrestrial life, including unidentified flying objects, and to inform the Secretary-General of the observations, research and evaluation of such activities. ^ Teodorani, Massimo (2004). "A Long-Term Scientific Survey of the Hessdalen Phenomenon" (PDF). Journal of Scientific Exploration. 18 (12): 222–24. Archived from the original (PDF) on 2010-01-07. ^ Erling Strand. "Project Hessdalen 1984 – Final Technical Report". Retrieved May 4, 2010. Beside the light measurements, it can be "measured" by radar and laser. Perhaps the measurements we did on the magnetograph and spectrum analyser are due to this phenomenon as well. We have to do more measurements with these instruments, before we can be sure of that. ^ Erling Strand. "Project Hessdalen 1984 – Final Technical Report". Retrieved May 4, 2010. We have not found out what this phenomenon is. That could hardly be expected either. But we know that the phenomenon, whatever it is, can be measured. ^ Massimo Teodorani, Gloria Nobili (2002). "EMBLA 2002 – An Optical and Ground Survey in Hessdalen" (PDF). p. 16. Retrieved May 4, 2010. Whatever these things are, if some "alien intelligence" is behind the Hessdalen phenomenon, that hypothetical intelligence has shown no interest in searching a direct, continuative and structurally evolved communication with mankind and went on behaving in such a way that the light-phenomenon itself appears to be totally elusive. ^ Wired (2006-05-10). "It's Official: UFOs Are Just UAPs". Retrieved May 4, 2010. ^ Ministry of Defense (December 2000). "Unidentified Aerial Phenomena in the UK Air Defence Region: Executive Summary" (PDF). p. 4. Retrieved May 5, 2010. That UAP exist is indisputable …[they] clearly can exhibit aerodynamic characteristics well beyond those of any known aircraft or missile – either manned or unmanned. ^ Telegraph (September 20, 2009). "Britain's X Files: RAF suspected aliens of "tourist" visits to Earth". The Daily Telegraph. London. Retrieved May 4, 2010. ^ Ministry of Defense (December 2000). "Unidentified Aerial Phenomena in the UK Air Defence Region: Executive Summary" (PDF). p. 10. Retrieved May 5, 2010. ^ Ministry of Defense (December 2000). "Unidentified Aerial Phenomena in the UK Air Defence Region: Executive Summary" (PDF). p. 11. Retrieved May 5, 2010. ^ David F. Salisbury (July 1, 1998). "No evidence of ET: Panel calls for more scientific UFO research". Stanford Online Report. Retrieved May 5, 2010. The upshot of this was that, far from supporting Condon's conclusions, I thought the evidence presented in the report suggested that something was going on that needed study. ^ Sturrock, Peter A. (1998). "Physical Evidence Related to UFO Reports: The Proceedings of a Workshop Held at the Pocantico Conference Center, Tarrytown, New York, September 29 – October 4, 1997" (PDF). Journal of Scientific Exploration. 12 (2): 179–229. Archived from the original (PDF) on January 7, 2010. ^ Sturrock et al (1998) p. 180: "...but there was no convincing evidence pointing to unknown physical processes or to the involvement of extraterrestrial intelligence. ", "...it would be valuable to carefully evaluate UFO reports since, whenever there are unexplained observations..."
^ Sturrock et al (1998) p. 180: "...it would be valuable to carefully evaluate UFO reports since, whenever there are unexplained observations, there is the possibility that scientists will learn something new by studying these observations." ^ COMETA Report, part 1 (July 1999). "UFOs and Defense: What Should We Prepare For?" (PDF). ufoevidence.org. Archived from the original (PDF) on July 6, 2010. Retrieved May 5, 2010. ^ COMETA Report, part 2 (July 1999). "UFOs and Defense: What Should We Prepare For?" (PDF). ufoevidence.org. p. 38. Archived from the original (PDF) on July 16, 2009. Retrieved May 5, 2010. [...] almost certain physical reality of completely unknown flying objects [...], apparently operated by intelligent [beings]. ", "A single hypothesis sufficiently takes into account the facts [...] It is the hypothesis of extraterrestrial visitors." ^ Maugé, Claude. "Commentary on COMETA". Inforespace (No.100, June 2000, p. 78). ^ Katelynn Raymer (May 10, 2001). "Group Calls for Disclosure of UFO Info". ABC News. Retrieved May 5, 2010. ^ Rob Watson (May 10, 2001). "UFO spotters slam 'US cover-up'". BBC News. Retrieved May 5, 2010. ^ Sharon Kehnemui (May 10, 2001). "Men in Suits See Aliens as Part of Solution, Not Problem". Fox News. Retrieved May 5, 2010. ^ Bonnie Malkin (November 14, 2007). "Pilots call for new UFO investigation". London: Telegraph. Retrieved May 5, 2010. ^ "I touched a UFO: ex-air force pilot". The Sydney Morning Herald. November 13, 2007. Retrieved May 5, 2010. ^ "The National UFO Reporting Center, Information/General (No page title at top)". Retrieved 4 February 2013. ^ a b "About BUFORA". BUFORA. Archived from the original on February 8, 2009. Retrieved May 6, 2010. ^ a b "The History of VUFORS". VUFORS. Retrieved May 6, 2010. ^ "Australian Centre for UFO Studies". ACUFOS. Archived from the original on October 15, 2009. Retrieved May 6, 2010. ^ "Australian UFO Research Network". AUFORN. Retrieved May 6, 2010. ^ "UFO Research Queenslandk". FORQ. Retrieved May 6, 2010. ^ Sheaffer, Robert (February 2009). "UFOlogy 2009: A Six-Decade Perspective". Skeptical Inquirer. Retrieved May 6, 2010. ^ "About CSI". CSI. Retrieved May 6, 2010. ^ "Skeptics Society & Skeptic Magazine". Skeptics Society. Retrieved May 6, 2010. ^ "Organisations & Groups supporting / celebrating World UFO day". World UFO Day Website. 10 October 2012. Retrieved 2012-10-08. Denzler, Brenda (2003). The lure of the edge: scientific passions, religious beliefs, and the pursuit of UFOs. University of California Press. ISBN 0-520-23905-9. Hynek, J. Allen (1998). The UFO experience: a scientific inquiry. Da Capo Press. ISBN 1-56924-782-X. Vallée, Jacques F. (1991). Confrontations: A Scientist's Search for Alien Contact. Random House Value Publishing. ISBN 0-517-07204-1. Klass, Philip J. (1983). UFOs: the public deceived. Prometheus Books. ISBN 0-87975-322-6. Sheaffer, Robert (1986). The UFO verdict: examining the evidence. Prometheus Books. ISBN 0-87975-338-2. Gillmor, Daniel S.; Condon, Edward U. (1970). Scientific Study of Unidentified Flying Objects. Vision. ISBN 0-85478-142-0. Rutledge, Harley D. (1981). Project Identification: the first scientific field study of UFO phenomena. Prentice-Hall. ISBN 0-13-730705-5.